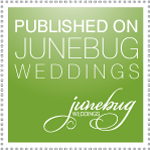 The summer wedding season has been keeping us busy! 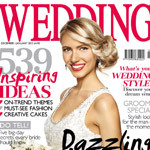 It’s far from over, but we have found the time to come up for air and quickly share a few projects we have had the pleasure of working on with Carla from Tucco Wedding & Events based in Marbella Spain. 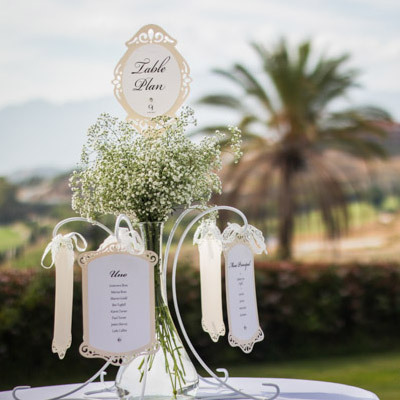 Four very different events, all set in the glorious wedding playground of Andalucia, Spain. I do love what can be achieved with paper, but always like when we get a little free rein to use other materials in our work. 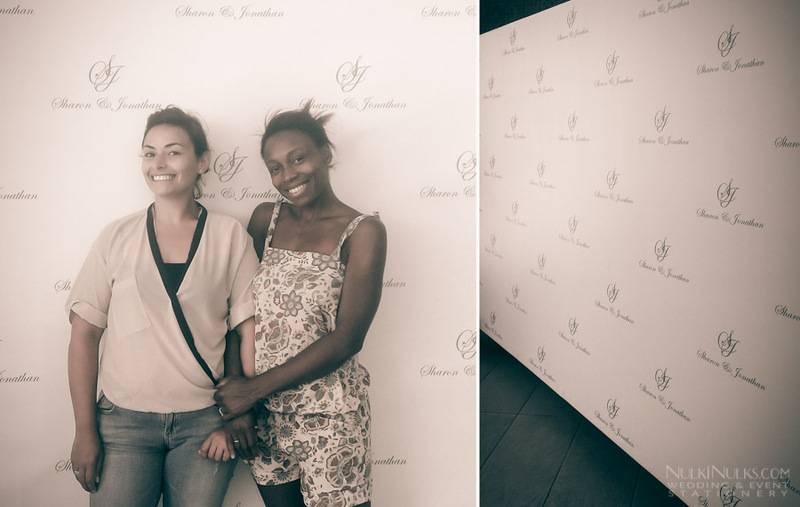 And free rein we had, in fact it was openly encouraged by Carla and her bridal clients. So much so, a lovely run of projects, each using a different material and print method to add those little touches to the happy couples’ day. 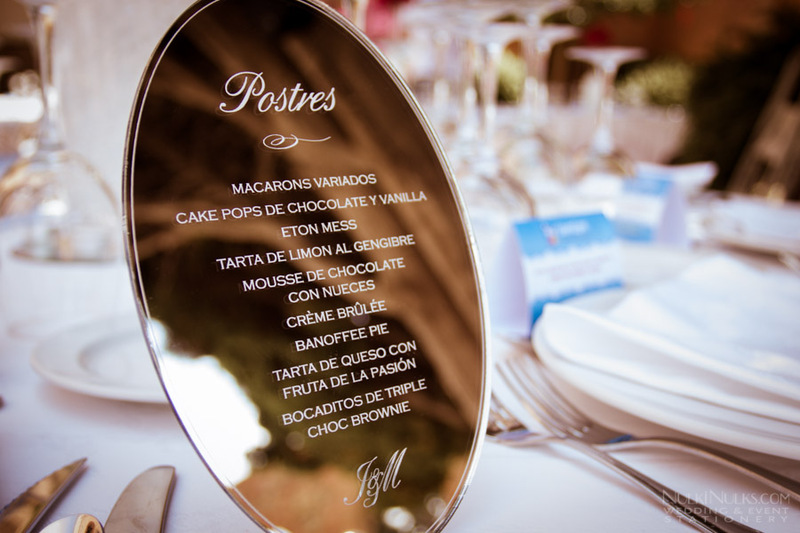 Mirrored menus were introduced to an old school elegant outdoor villa wedding, which also featured the most fantastical table centres and with chandeliers which appeared to be suspended from thin air. A bit of rustic charm and an ode to the use of tiles throughout Andalucia were the perfect addition to this Cortijo Feria-inspired wedding. I was also very happy with our “Uncle here comes your ‘Joy’” sign, a lovely play on the Bride’s name. 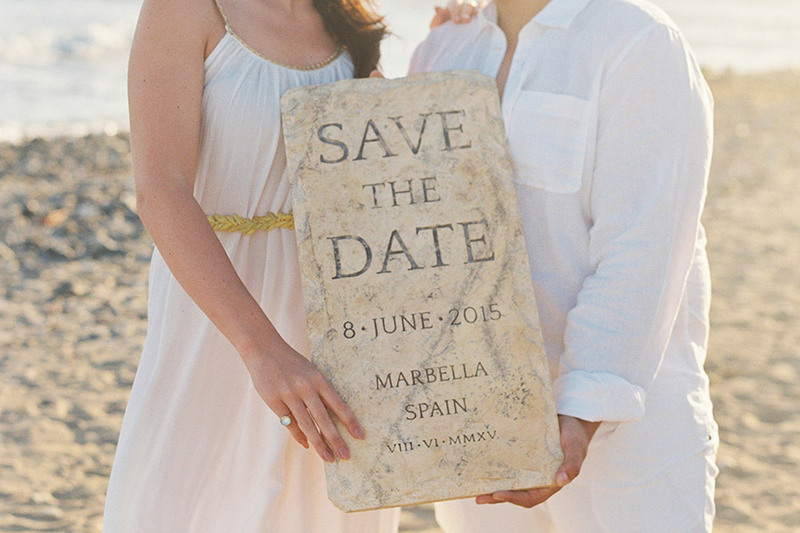 Then to the beach and an Ancient Greek-inspired engagement, save the date shoot. 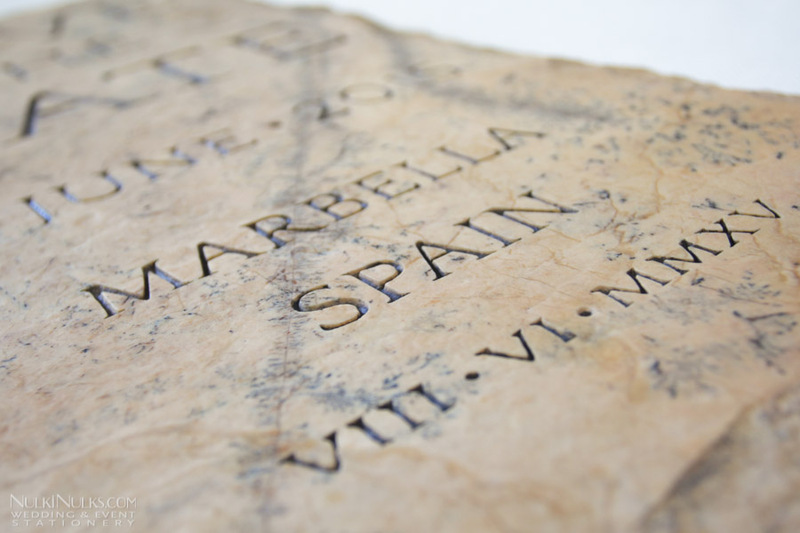 We created our own piece of history with a real stone tablet announcing the date of the wedding to be. Looking forward to seeing the photographers’ images of all of the above! 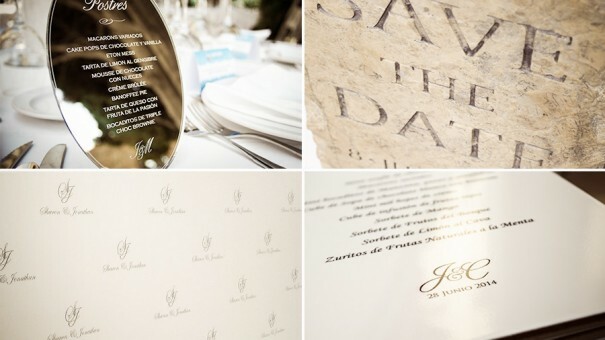 Thank you to Joseba Sandoval for sharing the image of the bridal couple with their ‘Save the Date’ tablet on the shoot. Hi I’m getting married at the Cortijo de Los caballos the 1st of June with Rachel rose weddings, our stationary package is with your company how do I go about designing with you?